Bullet69.com, will collect and log your IP address and your browser type in order to best determine how to facilitate services online. Your IP address gives us an indication as to where we should be concentrating our services and to what location in the world we need to localize with. We may collect information using a number of services that best suit your purpose for visiting our site. Information is gathered using one or a number of the following, registration, chat rooms, passwords, forms, order forms, message boards, surveys, contests. 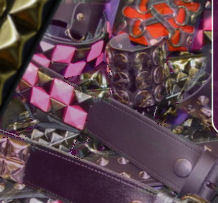 We collect this information from you soley for the purpose of conducting business on our site. Occasionally we may collect information to provide customer specific offerings, online marketing, or for promotional purposes. In these cases we feel that we can best service your requirements through the assistance of our affiliates. Bullet69.com may also share data it collects with various third parties, partners, site sponsors, or sites with links to our site. Additionally, you may choose not to receive any further correspondence from us or from our affiliates, by simply opting out. It is important to note that any information you do furnish us with is deleted from our database after its purposeful use. You can visit Bullet69.com on the Web without offering any information about yourself. In those cases, our web servers collect the name of the domain you used to access the Internet (such as "aol.com") . This information is used by us and others with whom we have business relationships to measure the number of visits, average time spent, page views, and other statistics about visitors to our website. We also use this data to monitor site performance and to make the site easier and more convenient for you to use. When you submit your information / order to Bullet69.com, whether it be your name, address, or information such as your credit card information, we do our utmost to ensure that information is protected against loss, misuse, alteration, destruction or unauthorized access. Bullet69.com uses encryption tools to help protect your personal information. 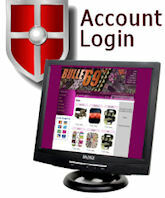 Bullet69.com keeps information collected secure by using a key encryption service. 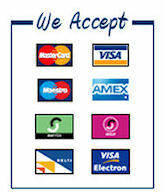 Within this encryption service are measures which protect the misuse or alteration of credit card data in particular. Furthermore, in relation to utilizing information soley for the purpose provided, credit card data is securely deleted after its purposeful use. Due to the nature of eCommerce there is always a remote danger of information interception no matter what barriers are in place, we suggest that if you are still concerned with security, or unsure of the implications of transacting data online, you may contact us for an alternative methods of communication and payment.